After years of partisan divisiveness over the issue of immigration reform, Washington appears ready to move -- and move swiftly. President Obama tomorrow will travel to Nevada to mobilize public support for a comprehensive set of reforms while a bipartisan group of senators has already outlined their framework for reform. White House spokesman Jay Carney said today that "a consensus is developing in the country" around immigration reform, and he added, "It's happening because the president has demonstrated significant leadership on this issue." Mr. Obama did indeed call for immigration reform during his re-election campaign, and some Republicans are interested in the issue at least in part because of their huge losses with Latino voters in the 2012 election. The Republicans involved in fashioning the bipartisan Senate plan are even on board with creating a pathway to citizenship for undocumented workers, a key issue for the president and several immigration reform advocates. Still, a number of Republicans in Congress remain opposed to the idea of "amnesty," and it's unclear just how much this issue matters to voters. Immigration reform advocates say they're happy to see movement in Congress and are prepared to follow up those efforts with grassroots mobilization -- including a rally on Capitol Hill on April 10. "The goal of that event will be to put a face to the millions of invisible workers... who toil in this country and want to be a part of the fabric of America without fear of being deported," Hector Figueroa, president of 32BJ Service Employees International Union, told reporters at a press conference today. 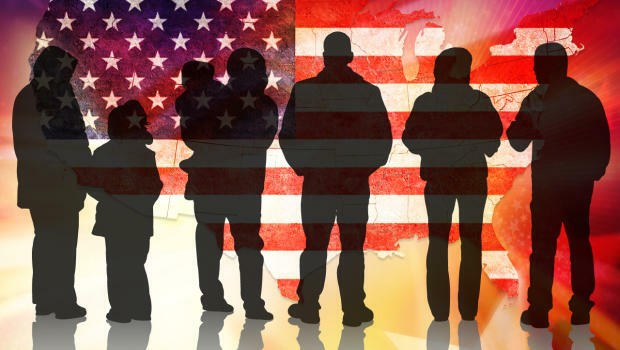 The SEIU and other pro-immigration reform groups recently commissioned a poll, conducted by Democratic and Republican pollsters, showing that 77 percent of voters favor a comprehensive plan for immigration reform, including a path to citizenship. Additionally, polls commissioned by the NAACP show strong support among black voters for comprehensive reform, as well as specific proposals like the "Dream Act," NAACP president Ben Jealous said today. "This is the year to pass comprehensive reform," Jealous said. "This country has the greatest level of consensus on this issue we have ever seen." At the same time, when considered against other issues, voters seem to make immigration reform a low priority: In a recent Pew Research Poll, 39 percent said immigration should be a top priority in Washington this year. There were 17 other topics that voters considered more important, including the economy, reducing health costs, reducing crime, protecting the environment and reducing the influence of lobbyists. Given the current state of border security and illegal immigration, it may not be that surprising immigration is not seen as a major priority among voters. The U.S. government spends more on immigration enforcement than all other principal federal criminal law enforcement agencies combined, according to the Migration Policy Institute, while the number of undocumented immigrants has declined from its peak of 12 million in 2007. Nevertheless, with both Democrats and Republicans expressing interest in creating a pathway to citizenship for those 11 million remaining illegal immigrants, both parties want to seize the moment. "This is a big deal, this is an important development," Carney said today with respect to the fact that the Senate framework includes that path to citizenship. In his trip to Nevada tomorrow, Mr. Obama will strive to get the public on board with such a plan. The president "will continue a conversation with the American people about how we need to move forward and why we need to move forward," Carney said. In a Las Vegas Review-Journal op-ed explaining his support for the framework, Sen. Marco Rubio, R-Fla., wrote this week that "both sides should want this kind of common-sense reform. To those concerned about illegal immigration, what we have now is de facto amnesty." Already, however, some Republicans are coming out against creating a pathway to citizenship. "When you legalize those who are in the country illegally, it costs taxpayers millions of dollars, costs American workers thousands of jobs and encourages more illegal immigration," Rep. Lamar Smith, R-Texas, said in a statement today. "By granting amnesty, the Senate proposal actually compounds the problem by encouraging more illegal immigration." Rep. Steve King, R-Iowa, wrote on Twitter, "Some Senators & Reps will soon announce how they plan to pardon law breakers & reward them with the objective of their crime. Very bad idea." In an attempt to find some common ground, the Senate framework calls for creating the pathway to citizenship only after the U.S. border has been sufficiently secured. It calls for a commission, made up of lawmakers representing the southwest, "to monitor the progress of securing our border and to make a recommendation regarding when the bill's security measures outlined in the legislation are completed." Carney today would not say whether the president would accept a pathway to citizenship that hinged on the recommendations of such a commission. A spokesman for Gov. Rick Perry, R-Texas, told CBS News that securing the border is the highest priority. "Though we have yet to see the details of any legislation, Gov. Perry has made his position clear that securing the border must be the number one priority of any immigration plan and it must contain an iron-clad commitment to upholding the rule of law to ensure that those who have violated it are not rewarded for their lawlessness," Josh Havens, Perry's deputy press secretary said. "Without these components, we cannot have a welcoming policy that both opens our doors and establishes the requirements for walking through those doors." CBS News political director Caroline Horn contributed to this report.